This is a tale of two debates that I watched the last two nights. 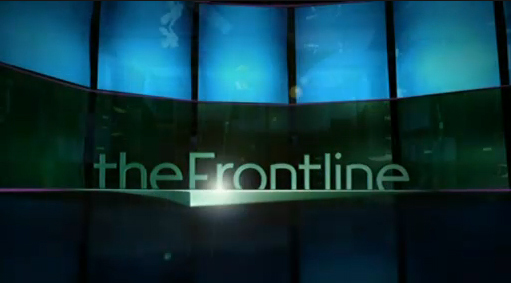 The first was the first Irish presidential debate which took place on the 'Frontline' program in Dublin hosted by Pat Kenny, one of Ireland's best known broadcasters . As I have mentioned here I have been mulling over a decision about running for president of Ireland, after being approached during the Obama visit . I could not take part in the debate as it took place at too short a notice. But I certainly learnt a lot. The format was different. There were two Greek choruses, commenting continuously on the statements made by the four candidates who did appear. There was an in-studio panel of two experts and the studio audience themselves who gave vent to their many deep frustrations about the Irish economy and other assorted topics. The results had a deer in the headlights feel to them,with candidates being second guessed within seconds of making a point, not by the other candidates but by the clearly fired up Greek choruses. Right at the beginning, journalist Tom McGurk,one of the panel of two, made it clear he considered the entire presidential field inferior. He had suggested rugby legend Brian O'Driscoll take the job . Meanwhile, the audience was revved up also, taking issue with almost every candidate's points. The upshot is the feeling that being a candidate for political office in Ireland right now is a little like forming a firing squad in a circle. The people are plenty angry and any election will do for them to vent their frustrations. That is healthy and good,I'm sure but not necessarily for the candidates ,who I've previously noted all seem like solid citizens with the best interest of Ireland at heart. The Republican debate later that night was a more classic format with the candidates lined up facing a moderator, John King of CNN. I was impressed with of all people Newt Gingrich who gave the only realistic answer on the illegal immigration issue of anyone. He pointed out it was not feasible to deport all 20 million undocumented, any more than it was feasible to legalize them all. Seems such an obvious point but that is what passes for in-depth analysis of an issue that has been demagogued to death these days.